When it comes to choosing jewelry that I love, I follow the same school of thought that I do when designing rooms. Less is usually more and I choose pieces with meaning. I have always been drawn to lockets. 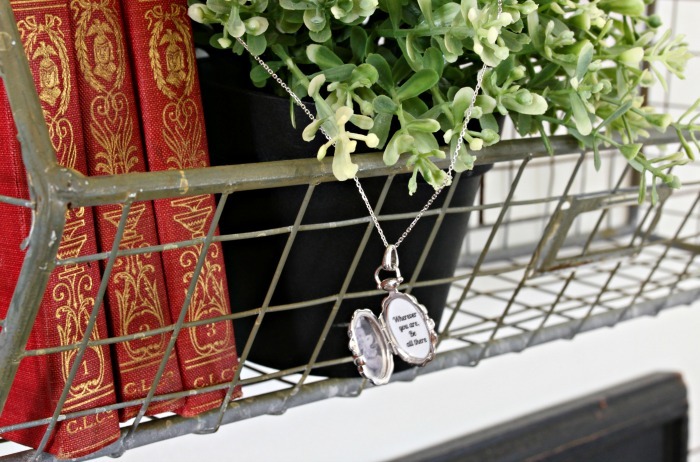 Much like a gallery wall in a home, a locket tells the story of the person who is wearing it. 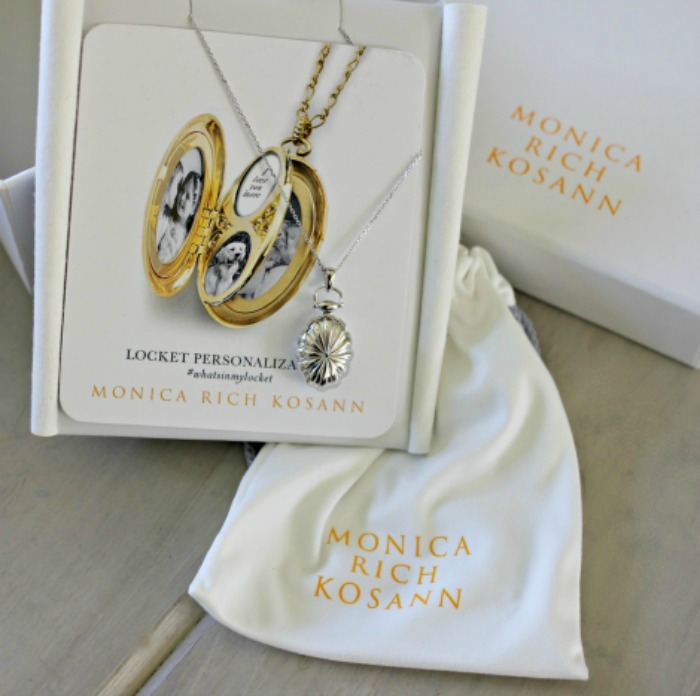 When Monica Rich Kosann asked me if I would like to write about one of her gorgeous lockets, I jumped at the chance. Yes, please! 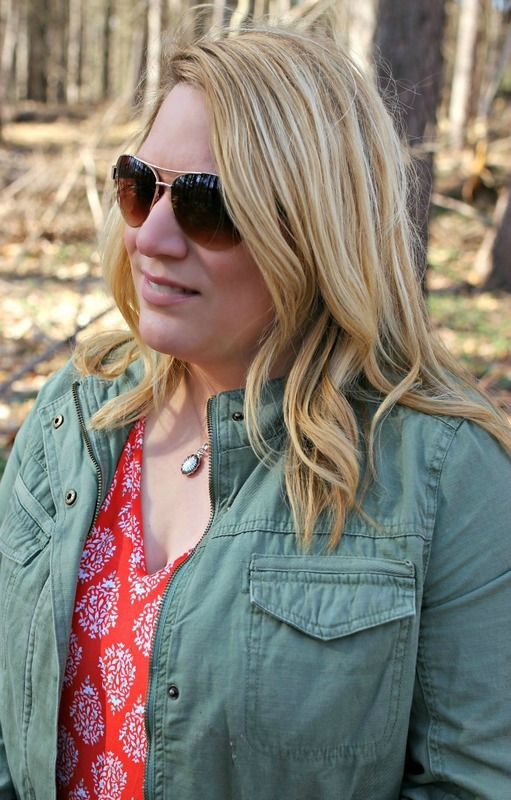 I chose the Petite Sunburst Locket, but it was seriously hard to choose. 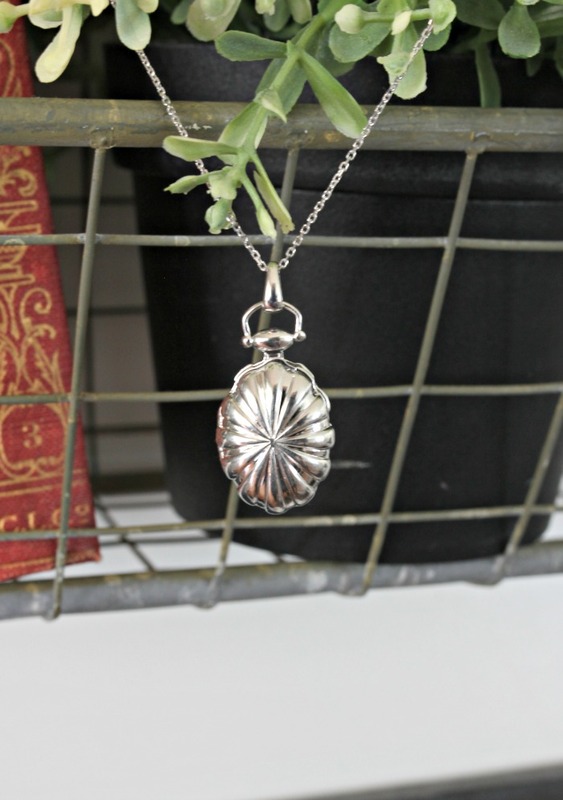 There are so many beautiful lockets on Monica Rich Kosann's website. My locket is made of sterling silver and the craftsmanship is top notch. The best part? The clicking sound that this locket makes when I close it, just like I imagine a locket that my grandmother might have worn would do. The next hardest decision was picking what pictures to display in my locket. The obvious choice would have been all of my boys, but when I was looking through my pictures, I came to my very favorite picture from last year. In it, my husband, Billy is with our golden retriever, Forrest and they both look so happy and content just to be together. The picture was taken soon after we got the diagnosis that our sweet Forrest had a limited number of days remaining with us because of cancer. Now I can carry Forrest, and the memory of this special day in the mountains, with me in my locket. I decided to put a quote on the other side of the locket. 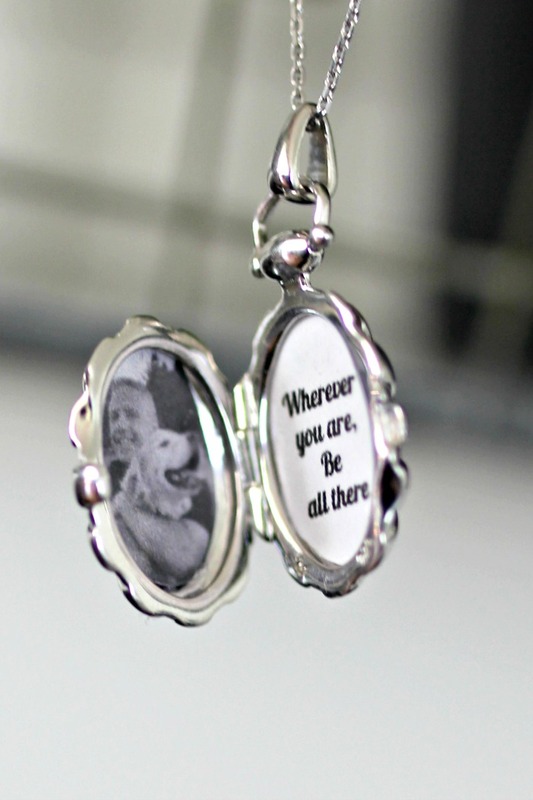 I chose, "Wherever you are, be all there" because it is a reminder that life flies by at such a fast pace. I need to remember to put down the phone or whatever else happens to be distracting me, and focus on what matters most. 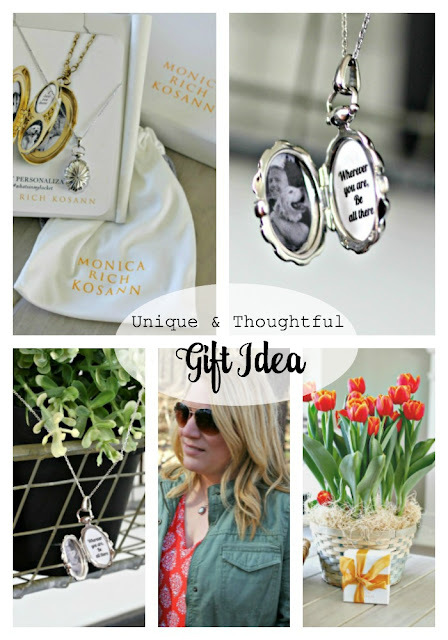 Monica Rich Kosann makes it so easy to create a memorable and special gift. The locket came with a link that helped me print the picture and quote of my choice. 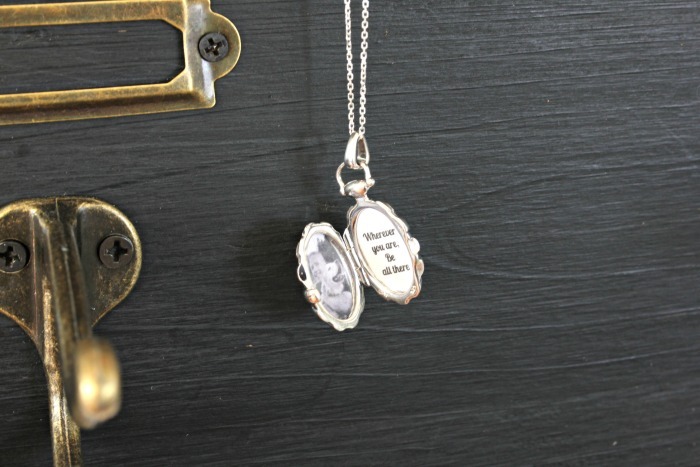 There are lots of ideas included on the website to create your own special locket that tells your story, or to create a memorable gift for someone you love. 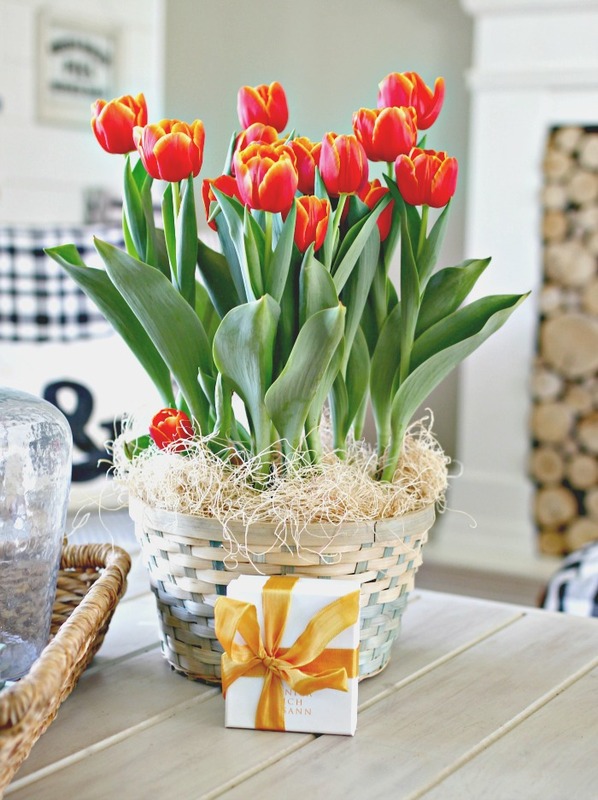 This would be the perfect gift for a special mom on Mother's Day! Or for yourself. If your husband is anything like mine, he might appreciate a gentle nudge (or a direct product link!) letting him know what you would like. So now friends, tell me, what would you put in your locket? I would love to hear your ideas in the comments. *This post was sponsored by Monica Rich Kosann, but all opinions and thoughts are my own. Laura, this is definitely a gift you will treasure. And it is good to know I am not the only one who dreams of that future granddaughter!! lol. So beautiful Courtney and what a treasured piece to have. I am not a big jewelry person but love this. Thanks Kris. I hope you have a great week too!! 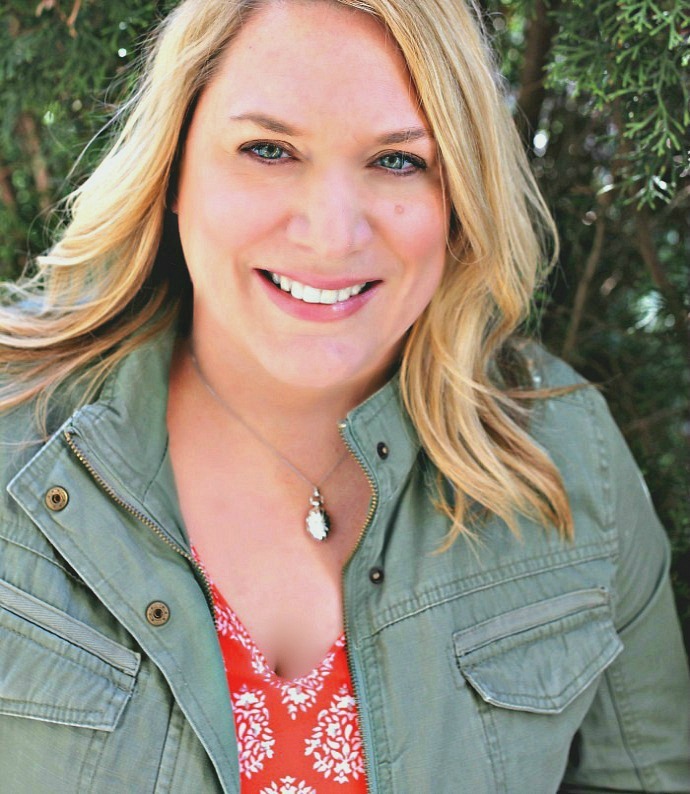 I love your locket and the picture inside! I would go with the same idea. I would put a picture of my son with his dog, Maddux. Maddux has been gone for almost seven years (we lost him to cancer). When my son was little we would ask him if he wanted a brother or sister or a cat or dog. He would always answer a cat or dog. He saved up all of his birthday & Christmas money & bought a Golden Retriever puppy that he named Maddux. Maddux was his "brother" (my son is an only child) & they did everything together. Such sweet memories! This is a great gift for any occasion! Thank you, Carol! What sweet memories you must have go your son and his dog, Maddux. There is nothing like a boy and his dog. I agree, this would be a great gift for any occasion. I love what you chose for your locket, Courtney! Great gift idea, for sure!! IAM sure I would put my beloved husband , the Lord called him home two years ago. And yes we had a dog that we loved dearly who passed away right before my husband did. We got two GOLDENS and he loved them two. They are asleep at my feet now. It's a beautiful piece of jewelry and great for memories to be worn over your heart. So sorry to hear about your husband, Linda. A locket would hold some very special memories close to your heart I am sure. Enjoy your 2 Goldens! I found you through Panoply...and popped over to say hello. 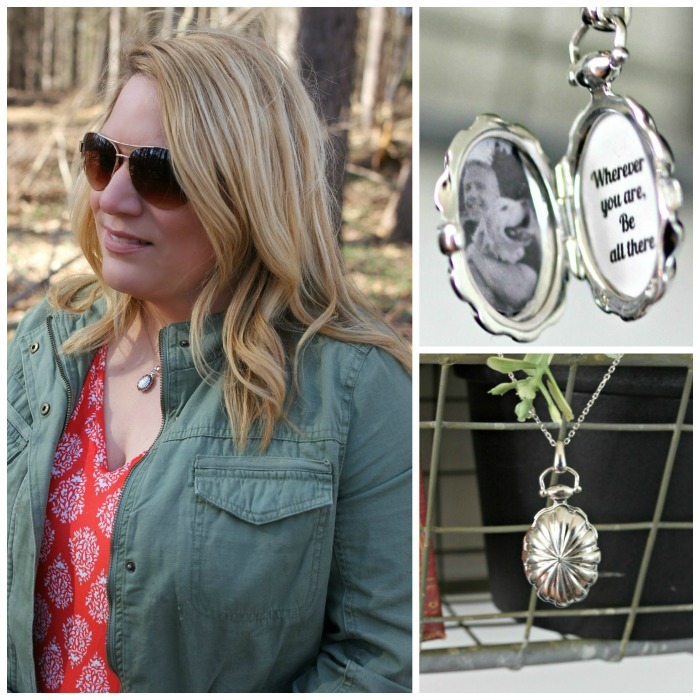 What a beautiful locket and a special way to keep Forrest's memory alive! Most Styles jewelry. I was buying the jewelry. Many beautiful jewelry and styles. I like it very much. You can buy this jewelry is very easy and you can wear with style. Jewellery, an ideal combination jewelry az love and passion is an essential part of a woman's life. These precious pieces precisely designed using simple techniques and tools represent the rich tradition of India.